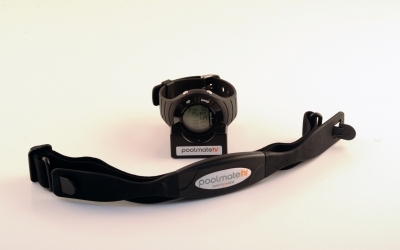 The PoolMateHR has been specially designed for swimmers so it will sense heart rate when in the pool. 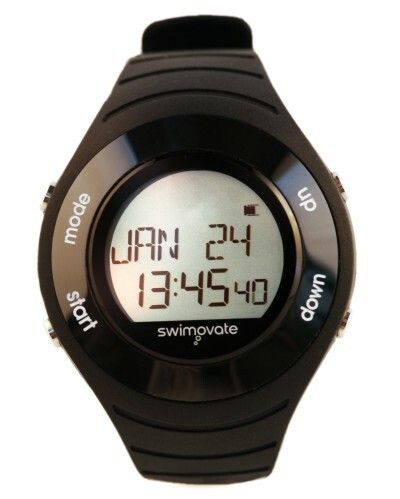 View your heart rate on the watch during your swim and download afterwards for further analysis. 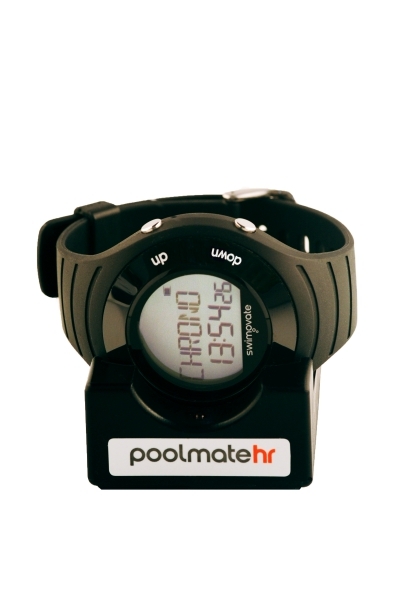 You can also use it as a heart rate monitor out of the pool for other activities. It comes with the download/charging pod and chest belt all included. The vibrating alarm is such a useful tool and we think it’s one of the key features. There are several ways to use it. 1, Set it to go off every 10 laps (or any multiple of laps you like) and it will gently shake the watch so you can feel the buzz on your arm so you don’t need to look at your watch to see how many laps you have swam. 3, Set it to go off after 30 minutes (or any long time interval) so it will alert you when you have swam for your allotted time (you can also use it in chrono mode this way when doing other activities). 4, Imagine you want to swim at a pace of 90 seconds per 100m. Set the vibrate alarm to go off every 90 seconds (or any short time interval) and feel the buzz each 100m. This is a great way to keep your pace correct in a longer set. If you feel the buzz exactly at the 100m turn you know you are on track (you can use this in chrono mode too of course when doing other sports). Battery life is affected by the number of times you use the vibrating alarm during your swim. To increase battery life, reduce the frequency of the alarm. See how far you have swum this month or year. View your swim records over many differences at a glance.